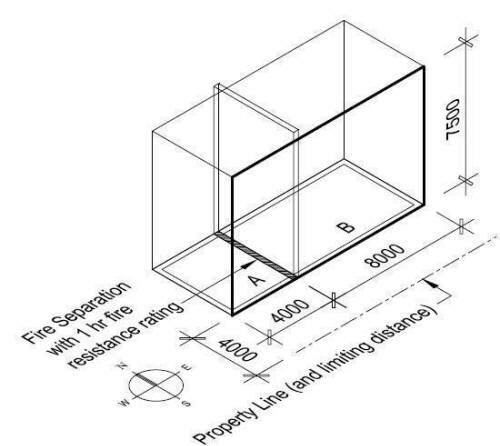 Study the following image and answer the questions below in terms of fire protection for the exposed building face. Read OBC sentences 3.2.3.1. (1), (2), (4), (5), (6), and (7) and article 3.2.3.2., and consider the drawing shown above in figure 3.